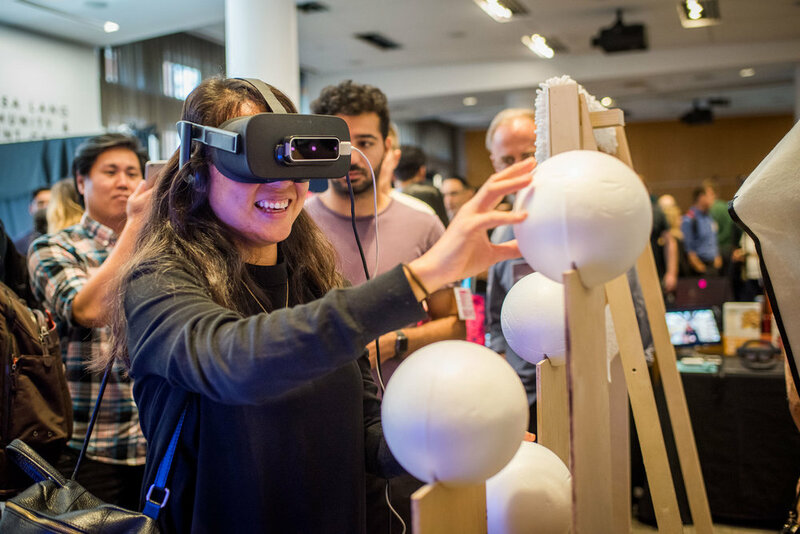 Exploring Future Reality, NYC Media Lab's annual VR/AR event, will host cutting-edge prototypes from corporations, universities and startups. The Demo Expo will be held on Thursday November 30th at NYU's Rosenthal Pavilion from 1:00pm-5:00pm. Register for the event here to attend the Demo Expo. Two Seconds To Safety is a spin-off company from Semblance AR that focuses solely on the development of a mobile solution that can bring any person to the safest location fast and efficiently under life-threatening circumstances.Inside known, controlled spaces, our solution can pinpoint the exact location of the threat and direct our user to the safest exit with our augmented reality navigation technology. In a different perspective, the user can signal their location to first responders to help them reach the user through the safest route using our technology. The Parts is a spiritual, virtual reality experience that aims to cultivate our inner voice and to encourage the participants to be aware of our disparate inner selves. As the story unfolds, the visual narrative encourages us to be aware of our distinct inner voice, our inner self, and critic, which have negative and positive effects on our lives. It is the project’s aim to help promote the more positive self, helping people to feel self-compassion more often. Participants will harness the power of their body (muscles, blood flow, heart beat, body temperature & spatial data) to interact with connected devices, musical and audio software and games, virtual and augmented reality. City of Green Dreams showcases Green initiatives for a sustainable New York City. Get immersed in our VR experience and learn about the social, environmental and economical impacts these green places have in your city landscape. This research explores the interrelations between neuroscience and built environment. The main contribution is the quantification of the degree of increase in human performance in various built environment. This research use bodily sensors to quantify the impact of human performance given architectural features. VillageLIVE is an augmented reality walking tour through the streets of New York City that provides a window into the queer history of this city using the archive of Nelson Sullivan. This technology ingests a 2D video, predicts the pose of the planes inside the scene it portrays, then automatically manipulates a 3D object and maps it onto one or more planes inside the video. The result is a realistic and automated augmentation of a 2D video with a virtual 3D asset. Datavized is an immersive visualization platform that makes it easy to turn complex data into fully interactive web experiences. Datavized’s geodata software products provide users with a web-based drag and drop tool to effortlessly turn spreadsheets into fully interactive 3-D maps. 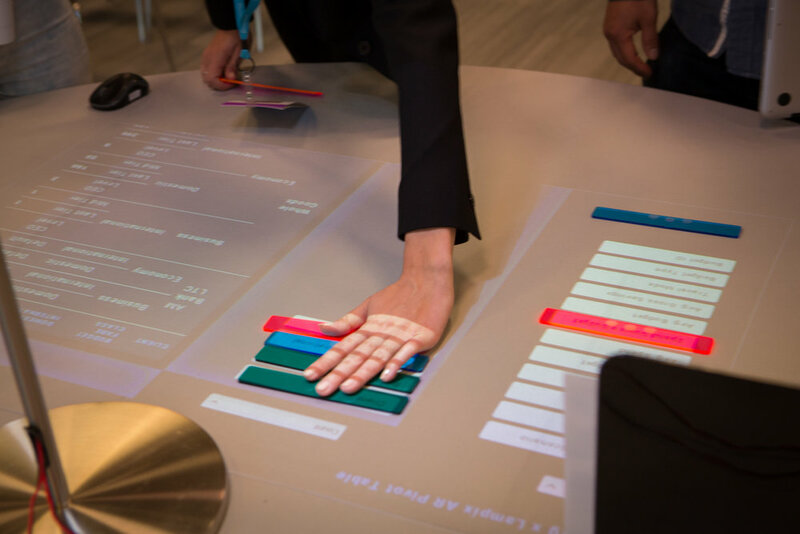 Datavized works on all devices, including desktop, mobile, tablet, and with virtual, augmented and mixed reality headsets, enabling users to tell immersive data-driven stories. Our product is a network-connected, distributed VR police use of force simulator that officers can use inside their own precincts. This model enables officers to rapidly build experience and judgement from the safety of their own offices, and will complement existing training programs and street-level experience. Our product is uniquely positioned to 10x the current training that police officers receive at a cost-per-minute of less than half of current offerings. This VR game is a first level intro for players of all levels. Transport yourself into another world and enjoy a magical environment. Many theorists believe that identity is largely shaped by experiences. If this is true, what are the implications of creating immersive experiences using VR technology, and how is the formation of human identity influenced by it? Untitled Realities is a Virtual Reality installation that examines this quandary. Relevant Motion is a at home physical therapy system that allows users with physical limitations visualize their body performing routine tasks via Virtual Reality and live Motion Capture. The IOTA Project is a virtual reality game. The player is thrown into the cockpit of a giant robot, which they must then pilot to defend a city against an enemy threat. We developed The IOTA Project in Unreal Engine and have been working on it for the past 6 months. We will be demonstrating our Holojam multi-person shared mixed reality system. Multiple participants will be able to walk around in the same physical space using untethered VR. Each participant will see the others as avatars, in their true locations. Participants will be able to engage in shared activities with each other, as though they are sharing a real life version of the Holodeck. Wyndham VR is a room-scale VR experience that recreates spectacular vacation spots using advanced volumetric capture workflows involving photogrammetry, LIDAR scanning, and gigapan spherical HDRIs. Aiming to hook users and solidify the innovative nature of vacations, the captures are set throughout the background, middleground, and foreground to narrate a volumetric space. Throughout the course of the project, Isobar optimized the content creation workflow processes using new tools and techniques, and as a result was able to complete all three room-scale scenes from scene capture to deployment transitioning people out of their day-to-day mindset and into a vacation mindset. A revealing VR animated short about the discovery of an unsuspected reality, caused by the slowness in the transmission of the events that happened around the globe. Nowadays, the hyper- development of digital media allows news to be transmitted in real time. On the contrary, The surrealist expressions that used to touch us because of its crudeness have been relegated to a second place by the violence of the reality of reality. 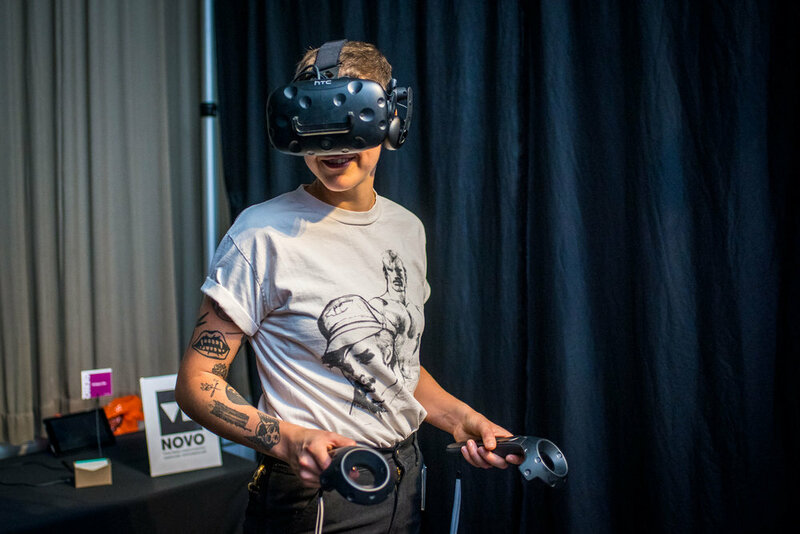 The Consortium's VR+Robotics initiative seeks to use VR to harness human kinematic elegance that can be replicated and ultimately enhanced by industrial robotics for a range of potential commercial and artistic applications. What stories can community journalists tell with immersive video? Students at the CUNY Graduate School of Journalism co-created 360 news stories with six New York community and ethnic media organizations. See the navaratri festival at a temple in Queens with ITV Gold, a closed church that takes on new life with West View News, the Bushwig drag festival with the Ridgewood Times and more! Bivalvia: Into the Shell is an interactive sound experience that recreates the magic of hearing the ocean inside a 3d-printed shell-shaped headdress. 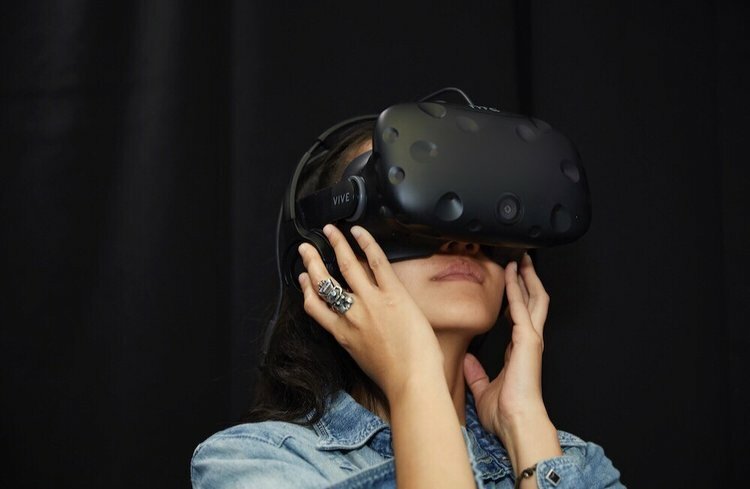 Our work is an attempt to incorporate VR audio technology to create immersive experiences that extend beyond the headset. The prototype on display is a scale sample; when Bivalvia is fabricated to its full size of ~2.7', individuals will be able to place their head inside the shell and be immersed in sound. The Spelleater VR is a virtual reality simulation that enables players to cast magic spells with their voice. We demonstrate a 3D interaction technique that allows a user wearing a VR head-worn display to point at a world-in-miniature representation of a city-scale virtual environment and perform efficient and precise teleportation by pre-orienting an avatar. A preview of the post-teleport view of the full-scale virtual environment updates dynamically as the user adjusts the position, yaw, and pitch of the avatar's head with a pair of 6DoF-tracked controllers. The approach can be applied to virtual travel in a wide range of 3D domains, from urban environments to abstract data spaces, and can be used for exploration in virtual reality or mixed reality. Authors: Carmine Elvezio, Mengu Sukan, Barbara Tversky, Steven Feiner. Game of Thrones in AR is a narrative augmented reality experience created by Subigya Basnet and Vhalerie Lee. The map of Westeros from the world of Game of Thrones is augmented with various castles and landscapes, and is used to tell stories of different houses from the kingdom. The experience also allows users to watch a 2 minute story of how Aegon Targaryen conquered Westeros using his mighty dragons. When Things Talk Back is an AR experiment that makes everyday objects come alive to have conversations with each other. Using image recognition, the app detects the objects the user is looking at, then generates random conversation scenarios between them that take into account the function and cultural connotations of those objects. The conversations are procedurally generated in real-time using ConceptNet, a common-sense knowledge database. AR/VR is an edtech trend that is exciting for educators. As instructional designers and educational technology enthusiasts who have provided learning solutions to various institutions, ranging from Manhattan College, CUNY, to the United Nations, we are seeing students visualizing concepts in a more profound way and being self-directed in their learning. This initial prototype provides new project management students with an interactive augmented reality experience that supports them in grasping basic project management concepts. Wonda VR (NYU StartEd 17') provides an easy-to-use and affordable authoring and publishing solution to create interactive presentations in 360°/ VR. 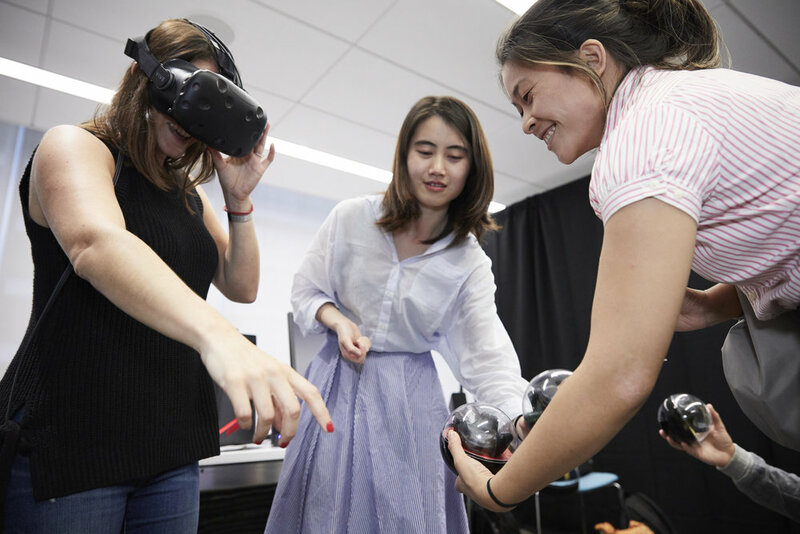 With Wonda VR, students and faculty from NYU Gallatin and The Silver School are now exploring new ways to teach and learn using immersive technologies.Demos will include “The Lower East Side - A simulation exercise for social work students” produced by professor Nicholas Lanzieri and Alexandre Girardeau from NYU Silver School.